so is this your car and if so what extra have you done to this chassis? 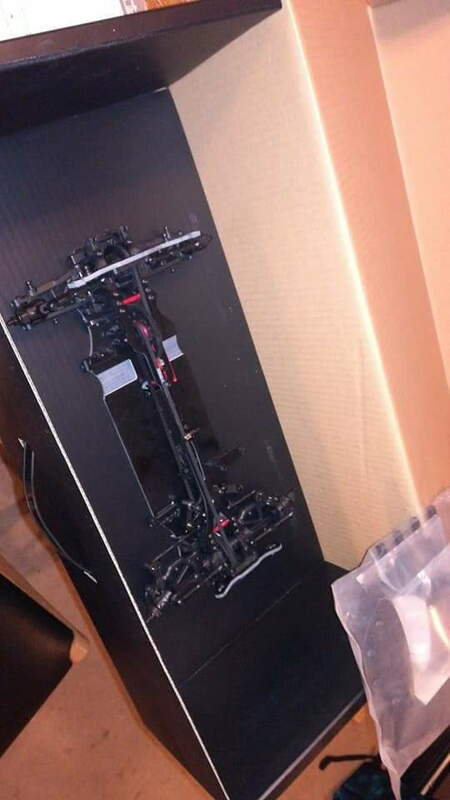 That car is mine, my car has the double jointed front axles, sway bars, alloy wheel hexs, aluminum chassis, steering bell crank, ackerman bar, servo holder, steering post, 25 gram brass center weight, carbon top plate, servo holder, front and rear shock towers. It is basically a full XQ1 minus the shocks and bulk heads. 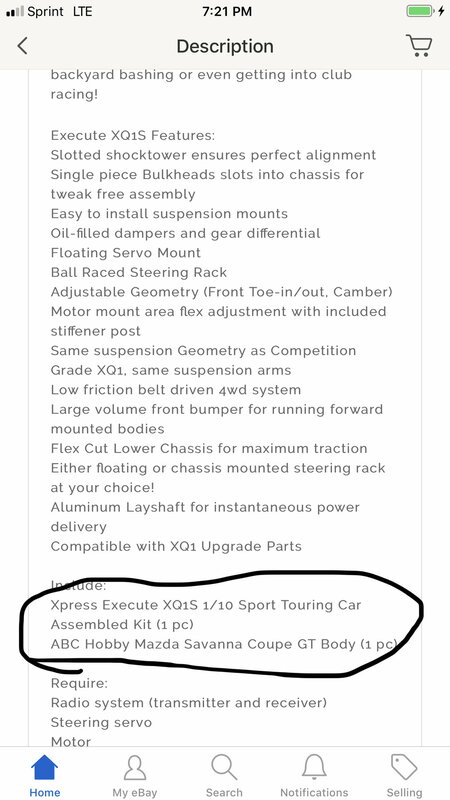 Does the car need all this stuff to compete? No, but I am not the best driver, and all these things helps makes the car easier to drive more consistently. Could be mental because I know I am making the car better, could be the car itself being easier. Who knows. Bartolo Racing, johnzhou2476 and DarthBacon101 like this. Just came back from a race last night, car is just dialed with the 25g center brass weight. I am only 1 to 2 laps back from the a main guys now. Now I am curious about changing over to the alloy bulk heads. The only thing that I am unclear about is the sway bar links. Anyone know if the links on the S model is compatible with the full on XQ1 bars? I know for sure the bars themselves are different. Here is the main, they switched the track backwards. I got a few lucky breaks by staying back and driving really conservative for the first 10 or so laps and waited for the people to crash from battling then turned it up towards the end. once again, blue car with the black roof. John was the winner with the all red car. This was a field of X ray's and awesomatix. That was a good race. Congrats on hitting 22 laps! With little more practice, you will be in the A mains. You have a very capable car and is not holding you back. Bartolo Racing and s14_tat like this. Due to the quality of driver's there, I will be happy to make it to the b main on a sunday. Got my kit from Bartolo today. Assembly went very well with no major drama. Ball cups were a little tight, but not bad with some grease. Wish the steering posts were aluminum though. All in all...impressive value. iTz Nicholas72, rbudano and DarthBacon101 like this. Soooo.. guess if you buy the part that includes the body. It comes assembled . I just saw these with the body. Didn’t know about them. Bartolo Racing and DarthBacon101 like this. Car is "stiff" to turning, some droop and ride height settings helped it, but one of the other guys felt like my steering was binding and that it felt like it was in my servo. I've got some more adjustments to make i reckon, plus I need more non race practice, the changes I made before this race was Xray 2.5 springs front and rear, FF blocks in rear, and the sway bar set with mid thick bar in back and thin bar in front. I hear a bit of chatter in the front when cornering too. One question on chassis material. 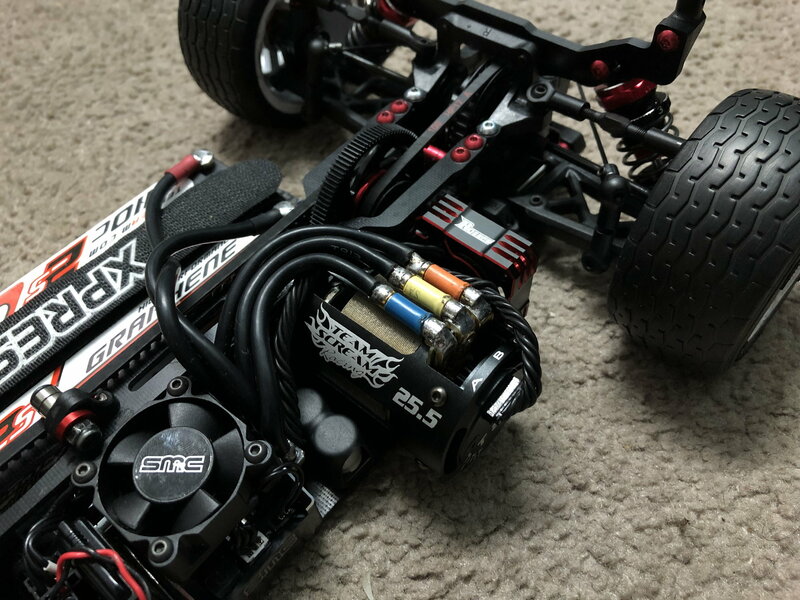 I'm on the stock frp plates...am I wasting my time trying to tune the car on the frp in such a high grip condition to try and compete with xray's and awesomatix's with their carbon upper decks and aluminum chassis? I have raced at that track a lot and will be back as soon as I can and I know a lot of the guys there racing so don't beat yourself so much. You will need to focus on your driving and holding your line and communicate to them when they come up behind you and they will go around you and you then try to drive on there drive line following them as close as possible. Practice, practice, and more practice. Good Luck. Put on a xray servo saver if you don't have one on already...cheap insurance.